Home › Who Else Wants Free Tech Advice... each and every week? Who Else Wants Free Tech Advice... each and every week? 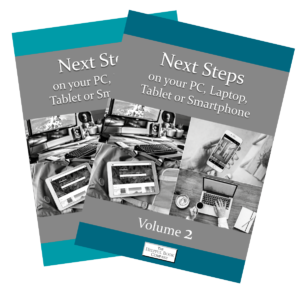 Tim's Tech Tips, my newsletter for PC, Tablet and Smartphone novices, gives all that. You’ll get an email from me every week with tips, tricks and advice plus extra emails when there’s something I think you’ll find useful or interesting or that’s urgent. It's FREE and I'll never give anyone else your email address. Most people who visit this website join - I hope you will too. Just put your name and email address in the box below and click on the button underneath. Seen an advert in a magazine or newspaper? If you want to know more about the books about using a smartphone, go here.